Blogging about chronic health issues, patient self-advocacy & empowerment! Letter Y: Yeast & Yarn. Nothing prevents you to from enjoying both together! Today’s topics: Yellow-Rumped Warblers and Yo-Yos. Hope your are all having a great time blogging. 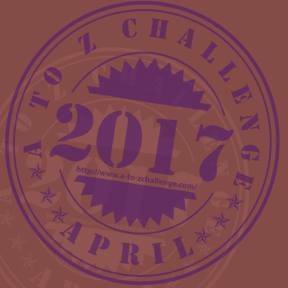 TUVWXYZ- Ending the A to Z Challenge. Y is for Y Roswell? Illegal Aliens podcast--discussing the TV series Roswell. You leave tomorrow. Join us for a farewell picnic! Y is for YA and for You on today's Library Love Field Trip. Quotes that will inspire you. Click here for Chapter X of my A to Z Choose Your Own Adventure (AC)! Comment to vote for the next choice and come back tomorrow for the reveal of the next installment in the novel: Runaway! Latest Post: (Live at 12:01 am EDT) YESTERDAY ONCE MORE: The lyrics say it all! My theme is usually travel related but today is something different ... how one bullet can change the lives of generations. A Maine vanity plate and a poem. Link: #AtoZChallenge Y for Youngest to Oldest – Dawson Family. Letter Y: Yes : "I almost dropped the phone at hearing the sleepy woman's voice on the other end of the line. I was speechless and my world started to spin again. My stomach sank and I no longer knew what to think. This could not be happening to me. My Galen could not do this to me... "
The Julian year is useful to astronomers when calculating.... standard distance? Come learn what an AU and a ly is. I explore social anxiety and awkwardness today with Your Friend Steve on the Wolf of Words. Only one more letter to go! I've written tons of words this month! It's time for a few pictures. The relation of a boss and an employee is one which requires careful advances... while some speak their mind, most just end up saying Yes Boss! One lap to go, but Y for York comes first. LadyInRead @ MyRandRSpace - Day 29 & YummyY. Yoga's place in the Lexicon of Leaving. Guest post by Crystal Collier. Tension runs high in Lord Histender's office. Y is for Yacht The penultimate part of the crime thriller. Read about a unique mailing system from the times of yore on my blog today. Think fountain of youth: What if we could stay young? Today on my A-Z of Favourite Things, Y is for Anton Yelchin - an incredibly talented actor who's gone too soon. Y is for yard ornaments. Do you have any? I say YES to life. One more Saturday, one more Ten Things of Thankful, Y Edition. Only 97 comments so far today. I think everyone is tired! One more post to do. Tomorrow mine will be related to food, another artful pursuit. Yes, I Read Young Adult Books, even though I'm 25. Check out some of this month's most popular Young Adult Books at Girl Who Reads. This is close to one of my favorite letter posts so far! Just one more day. Today it is Y? Letter: Y is for Yet! Post: Y is for “You’ll rot your brain.” Am I normal, Doctor Internet? Y is for Young-at-heart Creating a strong community from our youngest customers to our oldest! Hint: Blame it on the alcohol. Good Saturday morning to you, Kittens and Dawgs! Are you yelping because of a late night out? We got in bed at half an hour past eleven, so I'm stretching and yawning a bit. Yesterday was spent with DH and I'm yearning for my time out of the house with him. I'm behind but I will visit ya'll soon! Y is for You know who! Here's a sample of a little romance for the day - a snippet from Davee Jones' romance, You're My Necessary. It's hard to believe it's the second last day of the challenge. Congrats to everyone who's been consistent so far; we're nearly there!! Here is a link to my post for Y from my blog Weekends in Maine. Thanks for visiting! Y is for Younity | Want to try a blueberry wine? You've come to the right state. A and Y - for the Xtraordinary Amy Krouse Rosenthal and her Yellow Umbrella. To honour her, on her birthday today -#MoreforAKR - do more, love more. Join in. And we're back on track! Just posted my 'X' story earlier today cause I got caught up yesterday. Check it out if you haven't already! My theme is mostly made up holidays. Today is "Like Yourself Day"
The end is in sight! Though we're not quite there. An inspirational post "For Writers and Readers" from the girl with a rosy background. Y is for You Can Do It! (Doesn't look like I'm the last kid in line this morning! Yay!!!) On to number two in the A to Z Challenge countdown. Hope you'll stop by and give "Name That TV Show" a whirl. "Yours Forever!" Dexter meant it by heart. Paige could not have asked for anything else. Dexter was an infatuation that had turned to be an obsession. #HomeWinemaking - all about Yeast #AtoZChallenge with the letter "Y"! Today on Sciency Words: A to Z, first came the Big Bang, and then there was ylem. Lots and lots of ylem. Time to bug in? How to survive Years in the La Yacata. Yippee Ki-YAY Jobs today at World's Coolest Jobs! Y IS FOR YOU CANNOT CHANGE REALITY! Y is for Yarn. The various ways yarn has become a tangled mess in my creative journey. Tiger injured and starving, and hides in a cave, humiliated. A woman approaches. Tiger allows her feed him and gives her whisker to heal her husband. Blogging about novels for young adults. Y is for Yarn. Y is fro YOLO Because you only live once. One more to go !!! Still can't get it to a clickable link, ahhhhh !!!! One more post tomorrow and then the story is complete. I'm really excited that I managed to write 26 installments of a single story in such a short time with a prompt to work in each time.